This is one of my favorite recent paintings. The image above shows some detail of the figures while the image to the right illustrates this work's overall composition. I got the idea from meditating on how drapery and DNA might want to visually interact with one another. 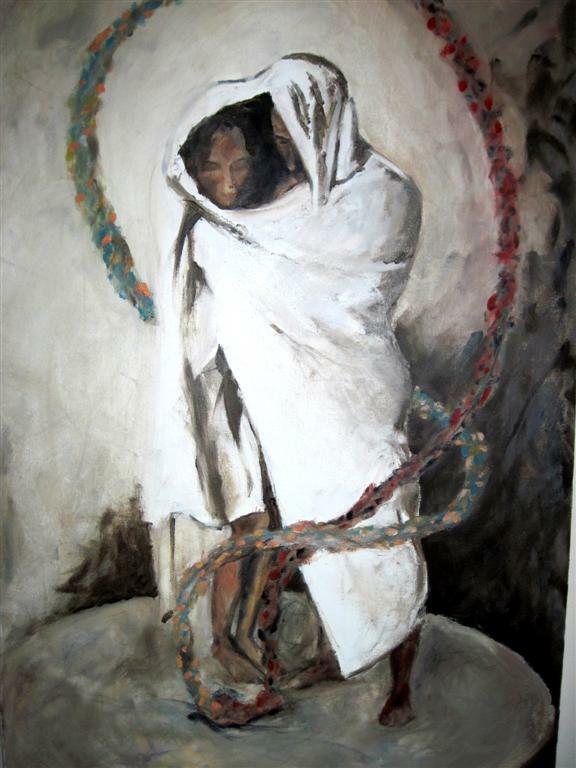 Titled: "Shrouded Couple with Helix," it is oil on canvas, and ended up having to do with transcending duality. This piece is quite large (84" tall by 28" wide by 3" deep), and is stretched on a reinforced oak frame. Original work currently available for USD 2300.